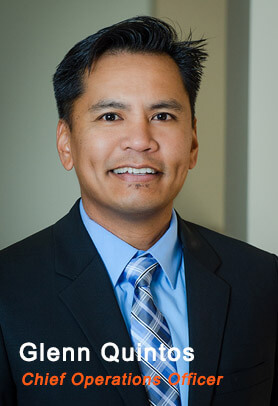 Glenn Quintos is the Chief Operations Officer of Wilson Automotive. He is a graduate of the University of California at Santa Barbara with an undergraduate mathematics and economics degree. He received his MBA from Chapman University as a member of Betta Gamma Sigma. He is also certified as a SHRM – Senior Certified Professional. Prior to joining the Wilson Automotive Group, Glenn was interim CFO/Controller for several small to medium-size businesses located in Southern California. He worked on an outsource basis for Montgomery Financial Services Corporation. Prior to working at MFSC, he was the controller for a telecommunications company based in California. He assisted in expanding the company over 300% in a six-year time frame. In addition to being responsible for the financial administration of the business, he was an integral part of the sales and operations organizations as well. Glenn’s areas of expertise include treasury management, financial planning, budgeting and forecasts, acquisitions, new business projections, cost analysis/reduction, inventory control, purchasing, information systems, human resources, and management of personnel. He joined Wilson Automotive in 2001.